When statistics suggest the evidence of a pattern, it is usually noteworthy enough for those interested in the subject matter to pay attention. But when the pattern involves a really life-and-death matter such as pedestrian safety, action as much as attention is required. 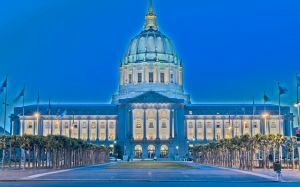 And that, San Francisco pedestrian accident attorney Gregory J. Brod would point out, is what is called for in the city by the bay in the wake of yet another pedestrian death on Van Ness Avenue. According to KTVU News, a 35-year-old man lost his life at about 12:55 a.m. Wednesday near Van Ness and Pacific avenues when a motorist slammed into the man, abandoned his vehicle and then walked away from the scene. The police pronounced the pedestrian who was struck by the automobile dead at the scene and officers took the motorist whose car had hit him into custody. The motorist was booked into jail on suspicion of vehicular manslaughter, leaving the scene of an accident and on a misdemeanor warrant. While Van Ness Avenue is not the only dangerous street for pedestrians to cross in San Francisco – 19th Avenue, among others, has also earned a reputation as a deadly street to navigate – it certainly has been getting more than its share of bad press lately. And, since the street passes right by City Hall as well as some of the city’s cultural landmarks, it stands to reason that at least a few city officials have noticed the carnage. However, it seems as though official awareness of the tragic circumstances on Van Ness Avenue has not necessarily translated into a substantive solution to the problem, or at least a solution that is in the works. Some yet-to-be-adopted plans that have been floated include ladder-style painting of crosswalks that are more visible to motorists. Another plan that has been on the city’s drawing board since last September is to institute a rapid transit bus line down the center of Van Ness Avenue. That measure, traffic experts have said, would lessen congestion and make it easier for pedestrians to cross the street. Unfortunately, the express bus corridor is not slated to be completed for another four years. In the meantime, pedestrians will continue to run the risk of injury or worse as they attempt to make their way across a broad north/south street that many motorists are often in a hurry to traverse. If you or a loved one find yourselves in such a perilous situation and are struck and injured or killed by a motorist, please call the experienced personal injury attorneys at the Brod Law Firm for a free consultation.